If you decide to use the optional 3M Command Strips and need to remove your kickstand4u™ mobile kickstand to another device or case, follow these simple instructions shown below. 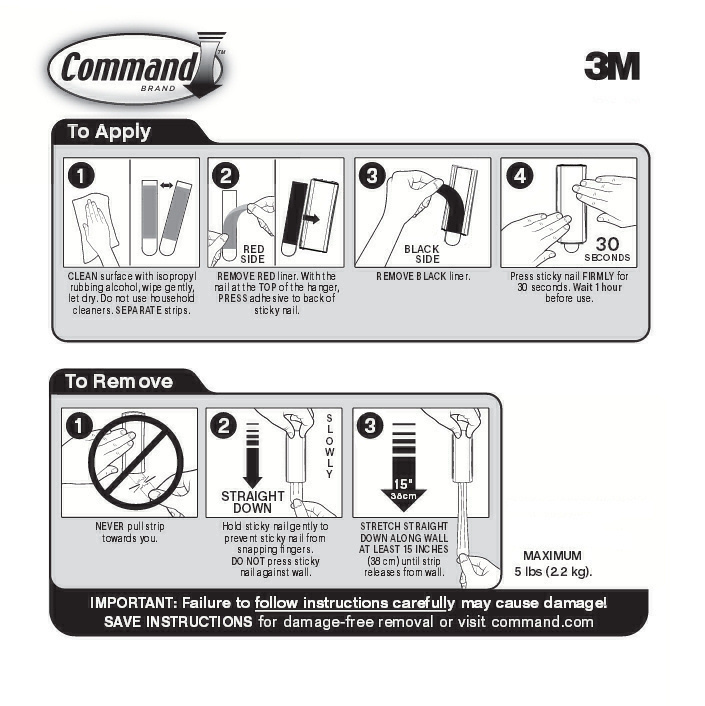 If you need more 3M Command Strips, you can order them here if you are not able to find them at your local Office Supply Store or Online. See listed Part#'s below If you are going to order outside of us. The Part # 17021CLR is for the Clear Medium 3M Command Strip for smooth to semi smooth surfaces. The Part # 17021P is for the slightly thicker White Foam Medium 3M Command Strip for semi smooth to highly textured surfaces. They both come 9 pieces per pack for about $5.00 to $7.00 plus tax depending on your locale. Not all locations carry replacement strips. The below video also shows how to remove the Standard Adhesive backing if that is what you are using.